A couple days off, but I’m back! After two days of vacation away from my blog (and wrapping up a great vacation), it was a pleasure to circle back and review the Simple Membership plugin. 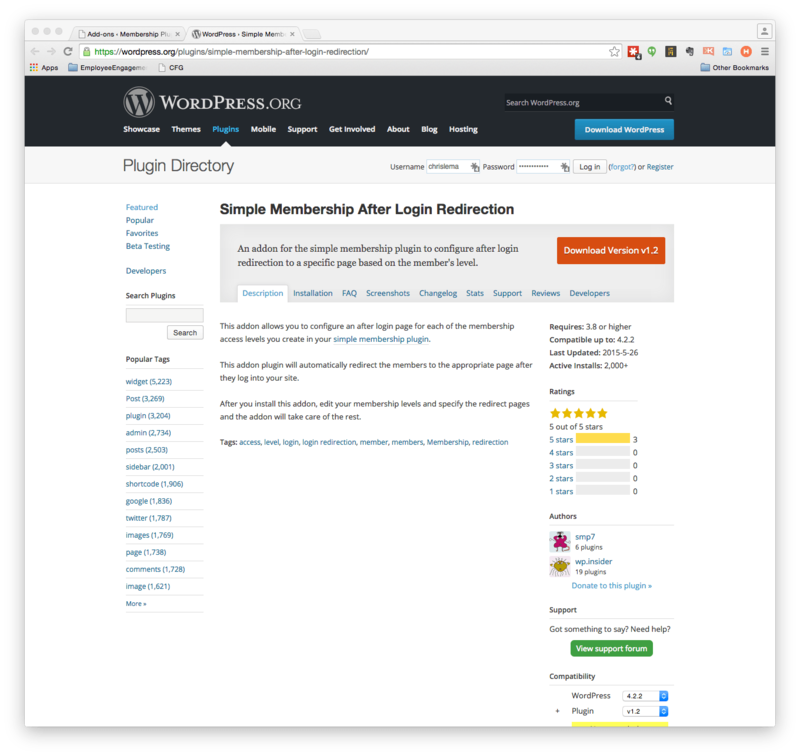 If you didn’t know it already, I’ve committed to reviewing 31 membership plugins in the month of July. As I’ve missed 3 days, I’ll either have to double up some days (which I think is possible) or hit a number less than 30. I’d apologize for taking the weekend off, but I’m not sorry. It was a great one and I hope you had a great one too! But some of the best and worst are still to come, so I keep moving forward. If you’ve read each one, you’re a superstar! Thanks. Today we’re digging into #17. Let me tell you right away who this plugin is for. So as you read that, you’re thinking – wow, that’s just about anyone that wants to create a membership site. And that’s almost true. If you want to create a site that protects newsletter content, you can do it. If you want to create a tutorial site, with free and paid articles, you can do it. 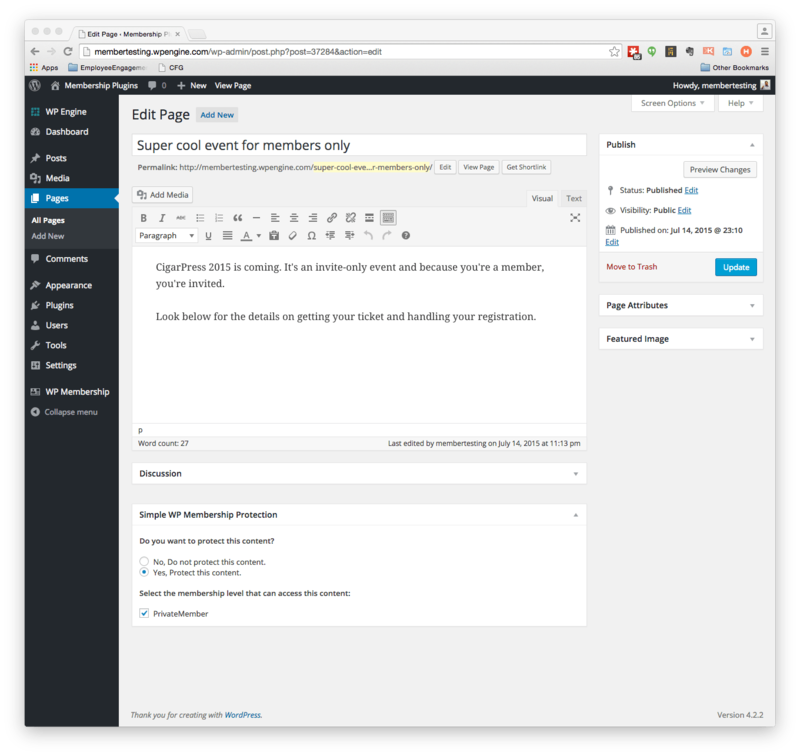 If you want to create an online community and put the community features on protected pages, you can do it. If you want to sell an eBook, you could do a one-time charge and route them to a protected page with a link. Each of these things are possible with both the Simple Membership plugin and PayPal. 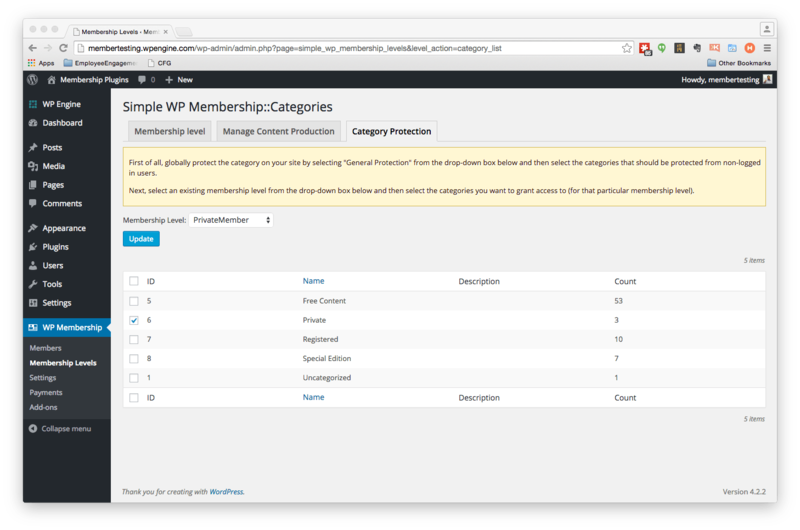 The good news is that a lot of simple membership sites can use the Simple Membership Plugin. 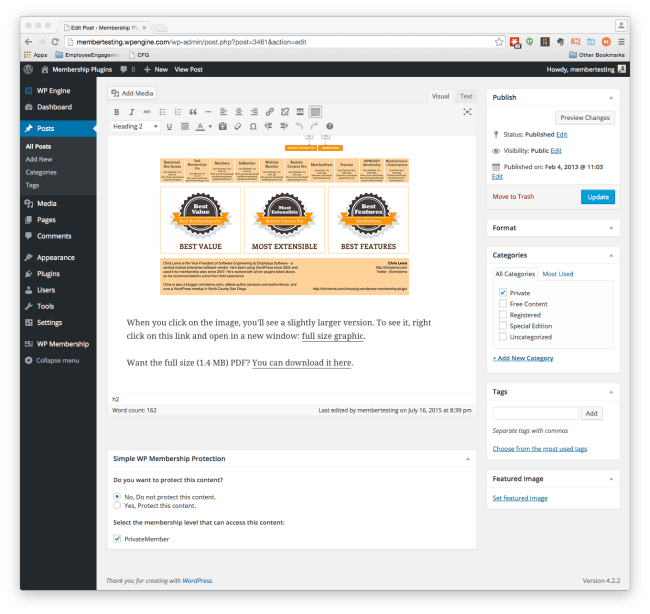 Every post in this series tries to do two things at once – give you some information to use to determine, for you, if this plugin is the right one for you. And at the same time, I’m trying to give you some additional insight and information about membership sites in general. Today I want to explain the challenge around PayPal and subscriptions, and why it means this plugin (and it’s dependency on PayPal) may not be the right fit. First, let’s agree that for a lot of things, PayPal likely does what you need. It’s not a horrible solution for a lot of people (even if I don’t love it). But the issues arise when we get to subscriptions. Here’s the real world advice I’ve heard from PayPal, the PayPal developer community, and membership site builders over the years. The first piece of advice doesn’t understand the nightmare it will create in your metrics. You are trying to run a business, right? And in the subscription world, knowing how long a customer has been with you is a big deal. When you cancel and start a new subscription, you’re creating false data. On purpose (if you follow this advice). The second piece of advice doesn’t understand the nightmare that you’ll face as you manually attempt to do everything. Why not just send pre-addressed envelopes to your customers and hope they’ll send you money? The whole point of using an automated system is so that (between API calls and user self-service), you don’t have to be involved. The last piece of advice doesn’t understand the nightmare of support calls you’ll face as people complain about a lack of pro-rating fees (especially when someone is moving from a yearly to a quarterly billing period), delays and additional payments when they’re not getting what they wanted. I once bought a subscription to Architectural Digest ten years ago. For a year. Within 3 months, I was asked to renew (for another year). Then 4 months later, I was asked again. Each of these renewals was layered on the previous. If I hadn’t have moved, I’d likely still be getting the magazine. Who knows how many years I renewed for because the whole thing was horribly communicated and inefficient. The problem with PayPal isn’t that it doesn’t work. It does. It just doesn’t have the flexibility that other platforms do. And more importantly, you don’t have months to spend moving thru their documentation that twists, turns, and routes you to older and out-of-date material. You want a platform that understands how to pro-rate, how to upgrade and downgrade, and how to deal with subscriptions correctly. Unfortunately, I’m not sure PayPal is that for you. You can protect content at the post or page level, which you can see below the post content. If you want to create protection for posts by category, you can do it in the plugin settings. That big yellow box. It’s telling you that you’re likely to do things incorrectly. I went straight to the drop down, picked Private and protected all the Private category posts. Notice that the bottom of this post, which is Private, doesn’t have protection on it? What’s up? Well, it’s because of that yellow box that tells you that the first step is to mark all the categories that need some protection whatsoever. It’s pretty important. So make sure you read the yellow box and obey it. The good news, if you want to use PayPal, is that this plugin makes it easy to do. Simple Membership Plugin has focused on simple. In the settings, after you’ve created a membership plan (that you want to bill for), you come to Payment Settings and you can create a code. This is the code you put into the PayPal site when you’re creating a button over there. When it comes time to create buttons on the site for people to register, you head to Payments (a submenu of the plugin), and decide what kind (one time or subscription). From there, you’ll get a larger set of options to fill out. But none of them are difficult to answer. It’s all the standard stuff. I should also highlight that if PayPal support and a simple membership site is what you’re looking for, the price tag on this plugin will delight you. It’s free. Even most of the add-ons are free. This is a particularly nice add-on that routes folks (after they login) to the place you want them to go. Simple. Like everything else they’ve done. So let’s get to it. Here’s the criteria I’ve been using, and the scores are 1-5 (with 5 the best). Again, whenever I see a score like this, I feel like I have to repeat that if it does what you want it to, it’s perfect.